The 2016 Jeep Cherokee is no longer a vehicle that’s used exclusively for off-roading. Now, with a completely new design — on the inside and out — the Cherokee makes for an efficient family-fun SUV as well. With the changes on the outside, it only makes sense that the rest of the vehicle changed, too. 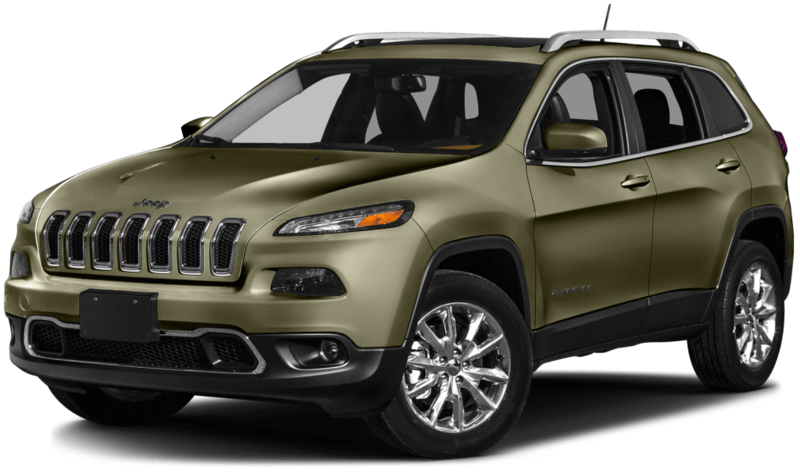 In fact, this is the most efficient and road-friendly Cherokee that’s ever hit the market. It also has an interior that’s loaded with comfort amenities like leather-trimmed and heated seats, allowing die-hard Cherokee fans to experience an upscale sense of comfort. The safety has also drastically improved from what some may remember, and while it can still effectively help protect in the event of a collision, it could possibly even prevent one entirely. But don’t misunderstand. Properly equipped, the 2016 Cherokee still offers stellar off-roading capability, which means that after dropping the kids off to school in the morning, you can embark on an all-terrain adventure. Depending on the trim level and additional performance features, the Cherokee has many different types of performance capabilities. It can be both an effective highway cruiser and child transporter, or a rugged off-road animal. The first way to distinguish the intent of one Cherokee from the other, is to check out the engine that’s sitting under the hood. The engine that comes standard on all 2016 Jeep Cherokee models is a 2.4-liter Tigershark I4 engine. This 16-valve engine has one purpose and one purpose only: fuel-efficiency. This is why it’s equipped with a host of advanced technologies like dual variable valve timing and a flow-control valve intake manifold. The result? An engine that puts out 181 horsepower and 171 lb-ft of torque that can still — while mated to the standard nine-speed automatic transmission — return up to 22 mpg city and 31 mpg highway. Not only is that double the fuel economy of the Cherokee your father used to drive, but that fuel-efficiency is right up there with the sedans produced for the 2016 market. This EPA-estimated rating translates to a driving range of up to 489 highway miles on a single tank of gas, which is impressive for a small SUV. Cherokee models equipped with the 3.2-liter Pentastar V6 engine have an entirely different purpose than highway cruising and child-toting. While a model with this engine is still good at that, the Tigershark does it better. What this engine does excel at is providing a robust amount of power for dominating the off-road trails. This engine puts out 271 horsepower and 239 lb-ft of torque, and even gives the Cherokee a towing capacity of up to 4,500 pounds when properly equipped. Even though it might not save as much fuel as the Tigershark, it’s not too far off, coming in with a possible best of 21 mpg city and 29 mpg highway on a front-wheel drive model. On a four-wheel drive model, the fuel economy will, naturally, drop slightly. From a broader perspective, the loss of one mpg city and two mpg highway on a FWD model is negligible compared to the boost of almost 100 horsepower and nearly 70 lb-ft of torque. Therefore, even when it’s equipped with the more powerful engine, the Cherokee is still versatile. The 2016 Jeep Cherokee benefits from a new design on the inside as well as the outside, and it’s now a super spacious and comfortable, yet small SUV. Whether it’s for piling in the kids or hauling an inflatable kayak for a paddle downriver, the Cherokee has the space, versatility, and comfort to do so. With all the seats up, the 2016 Jeep Cherokee is able to seat a family of five comfortably. Admittedly, it would be a tight squeeze trying to cram three adults in the back, but that’s expected from two-row five-seater vehicles. For two adults and three children, however, it’s the perfect fit. The seats in the back row are 60/40 split-folding, and are accompanied by a fold-flat front passenger seat as well. Not only does it open up to provide 54.9 cu-ft of storage space with the rear seats folded down, but it provides versatile storage thanks to the multiple configuration possibilities. As far as comfort goes, the Cherokee has a plethora of upholstery materials that range from cloth, premium cloth, leather-trimmed cloth, and full leather trim. The material on the higher-trims is a supple Nappa leather, and it’s optional throughout some of the lower trims. Also, it’s available in various colors based on natural themes, such as the Grand Canyon or the magic of Morocco. The Morocco in particular is very inviting, all black – save for the ruby red accent stitching for just a touch of personality. Comfort features like heated front seats can be added for chilly mornings or cold winter months, and the available Alpine premium sound system will take you into a world of pure, musical bliss. With the Cherokee’s upscale interior, even the small luxury-brand SUVs are up against some serious competition. The 2016 Jeep Cherokee offers quite the variety of standard and optional safety features aimed at both preventing and protecting against a collision. It all starts with the steel safety cage, with crossmembers further bolstering the frames in both front and rear doors, along with full-length side-curtain and side-thorax airbags. These are the main line of defense if a collision occurs, which is unlikely giving the preventive safety features like adaptive cruise control and lane departure warning. The safety features like these utilize a radar or camera-based system, and are adept at detecting potential collisions. The adaptive cruise control is able to sense a sudden decrease in speed from the vehicle in front, and then automatically apply the appropriate amount of brake pressure thanks to Stop and Go technology. Lane departure warning is able to sense when the Cherokee is leaving its intended path or lane, and provide a warning to the driver. There are many more preventive measures like this on board, such as forward collision warning with crash mitigation, rear cross path detection, and blind spot monitoring, to name a few. The Cherokee even comes with a 9-1-1 Call button mounted on the rearview mirror. When pressed, it immediately connects you to an operator. Next to that button, another one provides instant access to emergency services, and Jeep’s Roadside Assistance and vehicle support. Whether cruising down the highway with the kids in the back, or braving the off-road trails by yourself, it’s nice to know the Cherokee has a slew of safety features on board that have got your back. At Faricy Boys, we’re different from other dealerships and proud of it. Our main goal is to make sure you have an honest and comfortable car buying experience. Our genuinely caring sales staff will make sure of that, and our finance team works with a network of lenders to ensure that if you do find a vehicle you like — like the 2016 Jeep Cherokee — you’ll be able to get the financing for it. Everyone on our team, from the service department to the sales staff, are real people with a shared focus: to change your opinion of car buying. A good start to breaking the dishonest and archaic stigma associated with car dealerships begins with our real prices and no hidden charges, and since we have been family-owned for over 73 years, you can expect to be treated like one of our own from the moment you walk through the door.